In an attempt to save money in a house full of iGadgets, we recently purchased a bunch of power cables on eBay. At a dollar a cable, it was a pretty big savings for us, and when the cables did the typical Apple bend and detatch, it was ok, we could quickly replace them and continue charging. But we've struck a problem with a recent software update. Not one single cable is working for long enough to actually fully charge any cable. And we only have one brand cable. With 6 iPads and 3 iPhones on the go, you can imagine how stressful it is! So now we're stumped - do we invest in more of the cheap, generic cables and persevere with slow charging, or spend big dollars on brand cables, and go back to quick, unstressful charging? Labels: what would you do? Here in the UK there have been a lot of horror stories of non apple chargers overheating so I would say it was worth buying the real thing. Why are they SO expensive though?! On Apple issues we buy brand name. We had to replace my daughters iPhone 5 screen recently. We could have spent $70, or pay $150 at Apple. We chose to go with Apple because if they cannot fix it they will replace the device with the same mode. She walked about with a brand new device. Their screen repair machine wasn't working. To us, that peace of mind was worth the money we paid and in this case, it paid off. 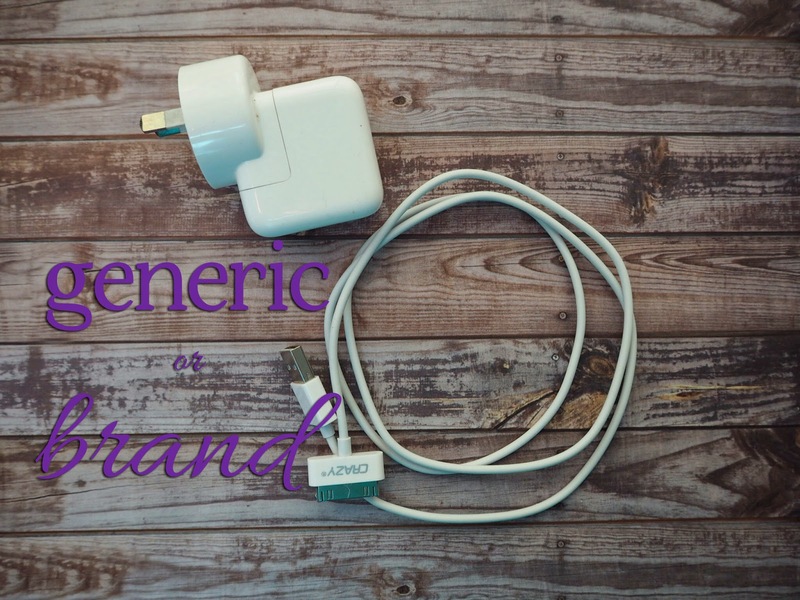 The generic provider was not in a position to offer the same service. We also go brand name on charging bits. Sometimes it is better to be safe than sorry. I'd probably go brand name on this one. It costs more upfront which hurts but it's worth it in the long run. I used to work at a battery/case company that dealt with a lot of Apple products--they were licensed to work with apple. Hearing how sometimes the way aftermarket cords can cause problems with the devices, I wholeheartedly recommend using the Apple products. Maybe you only need 2 or 3 bricks (Apple), but I strongly suggest making sure any of the cables you get having the Apple logo (you may need to go to the manufacturer's site to cnfirm they are, indeed, Apple Certified...There were many companies out there (mostly overseas) that offered comparable products but were knockoffs. Good luck! That sounds a real bummer :(. I'd go with the genuine article if it were me, I have to say. Reliability and peace of mind wins every time, and I don't like the uncertainty of is-it-going-to-work-or-not! Hoping you have better luck whatever you decide. I needed to replace the cord and went with the apple one but they are expensive. We tend to share chargers so it's good to be able to charge quickly ... also if I forget to charge and need to go out I can get a reasonable charge in 10mins. I go name brand for our current phones and generic for the old ones that the kids use as devices. But I keep an out on them because I have heard horror stories about fires and what not.